CHA 2017 is over and I have to admit that I'm not really aware of all the new stuff and I'm not sure I've got time to go through all the videos and blog posts online to catch up! Sure I know that all the popular designers had new releases, many of which will no doubt make it onto my wish list in the next weeks - Shimelle and Paige for example. But other than that, I'm keeping my eyes open for trends - colours, product or designs - to add to our Whimsical Musings inspiration in future weeks. However, the new Globe Gallery by American Crafts caught my attention because I adore all types of globes and these home accessory models are especially gorgeous. They particularly remind me of Anthropology with all the gorgeous products you can get there. That was the first place I saw decorative globes like this when Pam and I visited Lynnette in Montclair. So, this week I'd like you to be inspired by globes. 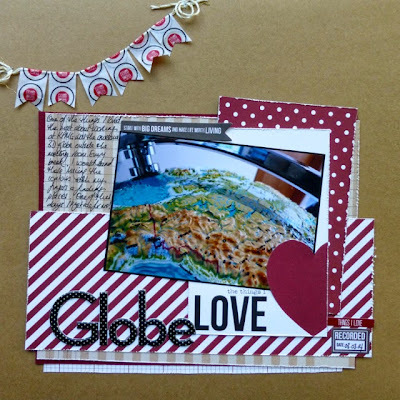 There are a lot of globe embellishments around these days in die cut packs, stickers or as a paper design that might inspire you on your page. Maybe there's an heirloom globe in your family or a new, modern one recently purchased for yourself or your children. You could think about travelling around the globe as the subject of your project or even how you like to dream about future travel plans. 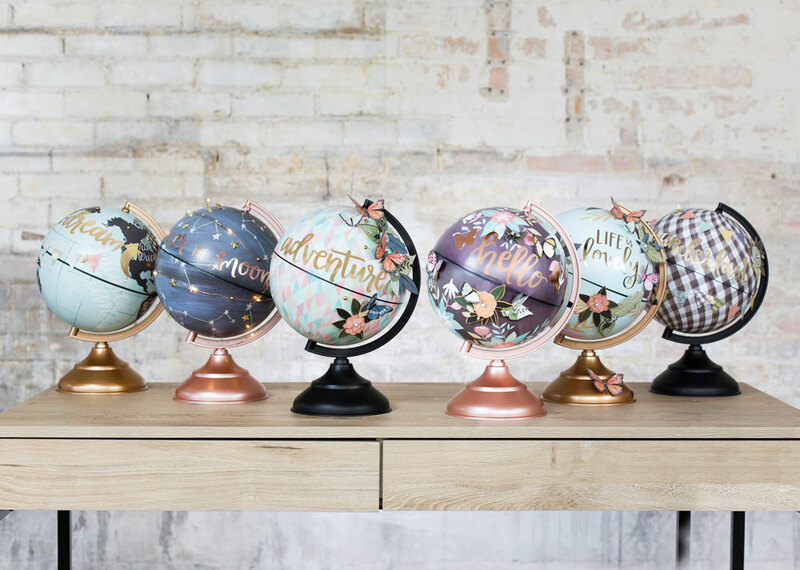 Or you might just want one of these pretty home accessory globes for yourself! This layout talks about my love of this glorious relief globe at one of my work locations some years ago. 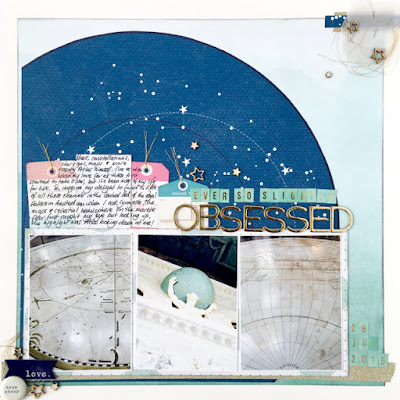 This layout, made as a Guest Designer on Shimelle.com last year, talks about my love of Atlas who carries the world on his shoulders. This particular statue was a highlight for me at the Amsterdam Royal Palace. You can either upload your layout into the Whimsical Musings Flickr gallery with the tag WM#246 or you can post it in our Whimsical Musings Facebook group. We've decided that we'll save albums for special occasions so just load up your photo to the group with the tag WM#246 in the write up text so that we can find it.